Home » Centrovoices » Current Affairs » Rebuild Puerto Rico! The destruction caused by Hurricane Maria has never being seen before in Puerto Rico. The priority for everyone now, especially for first responders on the ground, is to save lives. However, recovery is estimated to take years. In an effort to support disaster relief and recovery efforts, Centro has launched Rebuild Puerto Rico, an online information clearinghouse for the stateside Puerto Rican community and other allies. A Rebuild Puerto Rico newsletter highlighting new content on the online platform will be issued weekly and as needed. Coping with devastating flooding, contaminated waters, and public health takes precedence. The electrical and communications infrastructure on the island has crumbled, and it may take months to restore power and to be able communicate with our loved ones. We know that they need food, water, generators, medicines, diapers, school supplies, and so much more. And very soon stateside Puerto Rican communities will receive a wave of migrants from the island that will need shelter and support. The question that many ask is “What can we do?” The response to the destruction and humanitarian crisis in Puerto Rico has been heartening and many support events, fundraising campaigns and other initiatives are under way. But there is so much more to do. Rebuild Puerto Rico is a collaborative effort. 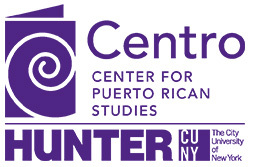 The Hunter College and Centro leadership are coordinating with the Puerto Rico Federal Affairs Administration, federal and stateside local elected officials, community leaders and organizations, and others to create an information hub, a clearinghouse where the Puerto Rican diaspora and others interested in supporting Puerto Rico can share information about recent events, solidarity events, policy issues affecting decision makers, call to action for donations and volunteers, help assistance, and other relevant information about the crisis. Rebuild Puerto Rico will be staffed by volunteers across the nation. They will collect the necessary information for this platform to be effective. Centro has made a call for individuals and organizations that want to help Puerto Rico, not just in the emergency phase, but also in recovery and reconstruction. We need volunteers with skills in collecting and managing information, writing policy briefs, and helping with outreach and partnership. Rebuild Puerto Rico is an extension of the work that Centro has been conducting for more than forty years, especially since the unfolding of the fiscal and economic crisis in Puerto Rico in 2015. Centro has served as a national convener and source of information to stateside communities. Our conferences and events provide a safe space to discuss difficult policy and political issues where participants acknowledge differences in perspectives yet seek to find common ground moving forward. Maria leaves a whole new level of recovery to be scaled. No one has yet estimated the full cost. Federal money will be the most critical factor, in the view of recovery specialists. They dare to hope the sweep of the hurricane’s destruction may provide a theoretical, if bleak, spark for long overdue modernization on the island. All Americans should rally forcefully behind their fellow citizens left suffering on the island as it labors to recover. It is up to mainland leaders not to stint on aid for Puerto Rico and the U.S. Virgin Islands, however lacking they may be in political clout in Washington. More than ever, the Puerto Rican diaspora must play an important role, no longer just with the ongoing humanitarian crisis on the island and disaster relief for the American citizens of Puerto Rico, but we also need to assist the thousands of people who are relocating to stateside communities. This first issue of the Rebuild Puerto Rico newsletter includes two essays from Centro staff on current events and policy developments. In “Disaster Aid for Puerto Rico: Congressional Actions,” Kathya Severino Pietri summarizes recent developments undertaken by the federal government disaster relief efforts on the island. Many have expressed concerns that federal efforts have been insufficient in light of the severity of the crisis. Hurricane Maria caused billions of dollars in damages to Puerto Rico and left 3.6 million island residents without power, potable water, and telecommunications. The situation has quickly evolved into a humanitarian crisis.